This time of year I am constantly using a blow dryer. It's not that I don't use one at all in the spring and summer, but I most often wear my hair wavy during the warmer months which doesn't require much heat styling. Once it gets cooler in the fall and winter, I need a reliable and efficient blow dryer. My hair is long and thick and it can take a while to dry and straighten. Barbar's Italy 3800 has not only saved me time, but has me actually looking forward to drying my hair! The first thing I noticed on this dryer was the soft touch finish. It's very comfortable to hold which is important especially when you have long hair to dry! 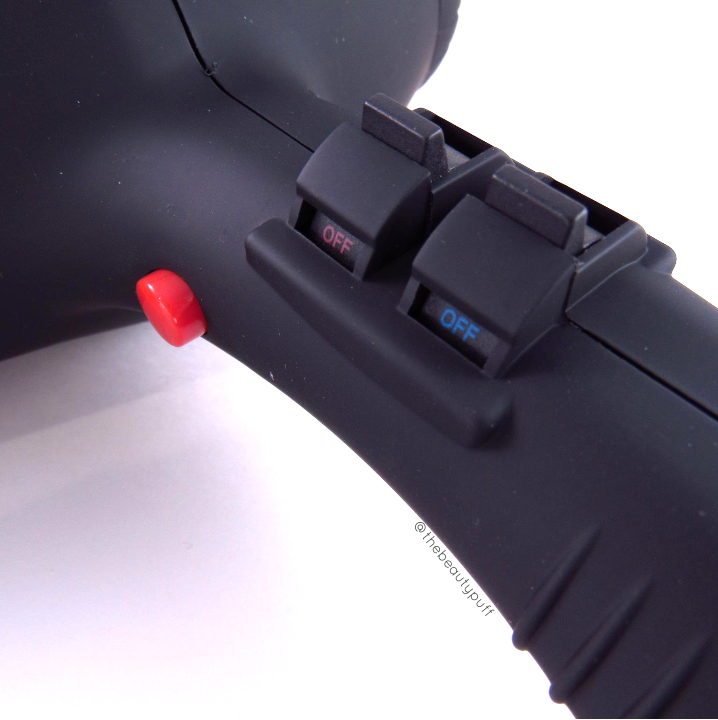 Also, the controls are easy to use and access even while holding it with one hand. As with most dryers, there is a cool shot button to help lock in your style. There are two heat settings and two speed settings - high and low. I always use a high fan speed. For overall drying I use a lower temperature, then move to the high setting when it's time to style with my brush. I really like that this dryer isn't too loud, especially when the air speed changes. The hair dryer itself is pretty well balanced and I didn't notice any strain in my wrist during use. I've had plenty of dryers that literally had me taking breaks because they were so awkward or heavy. Thankfully that was not the case here! Typical blow dryers that I have owned have been around 1800 Watts. This dryer has 2000 Watts and I can definitely tell the difference in drying time! It also has an ionic charger which helps reduce frizz and maintain shine. I am getting smoother, shinier hair in less time than with my typical blow dryer and it's been such a lifesaver. I was sick with a cold just after Thanksgiving and didn't want to spend a long time drying my hair. I was tired, cold and achy and all I wanted to do was lay down. Having a blow dryer that worked efficiently was such a relief! For easy styling, this dryer comes with two different size air concentrators. I use the longer of the two to cover a wider area for more efficient styling. If you have shorter hair or shorter sections you'd like to target, the smaller attachment would be ideal. 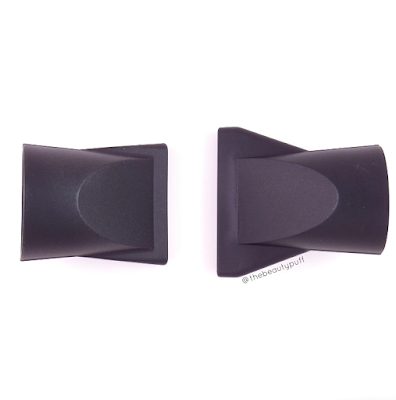 Most blow dryers come with an air concentrator but I think the option of two different sizes really helps accommodate different styles and lengths. Each of these attachments simply slides over the end of the dryer. If I had one critique it would be that a diffuser should be included for those wavy hair days when you want a bit more volume. But for my purposes 90% of the time, this is just fine. Overall, I'm really impressed with the performance of this blow dryer. 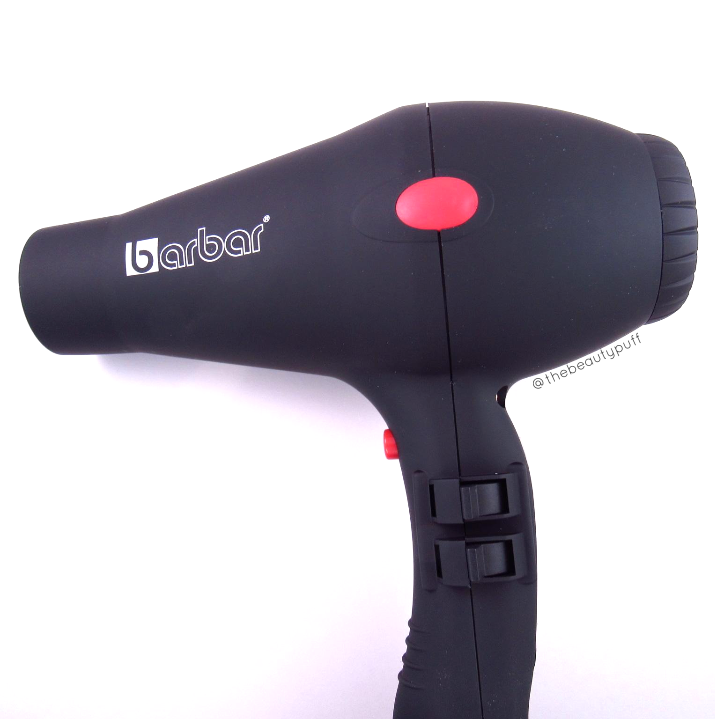 I have used countless hair dryers and a multitude of brands and I don't think my hair has ever been dried so quickly as with the Barbar Italy 3800. This blow dryer retails for $150 but with my coupon code, BEAUTYPUFF60, you can get a 60% discount and choose either the black or red! This code is only vailid until 12-31-15 so act fast!